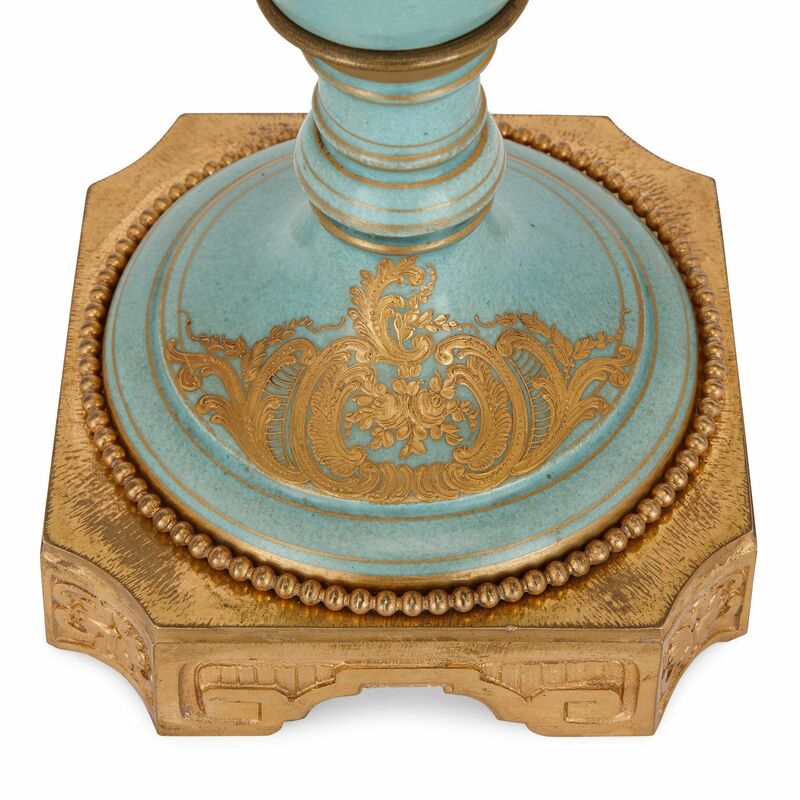 The vase sits on a richly decorated ormolu base of square form with canted angles. 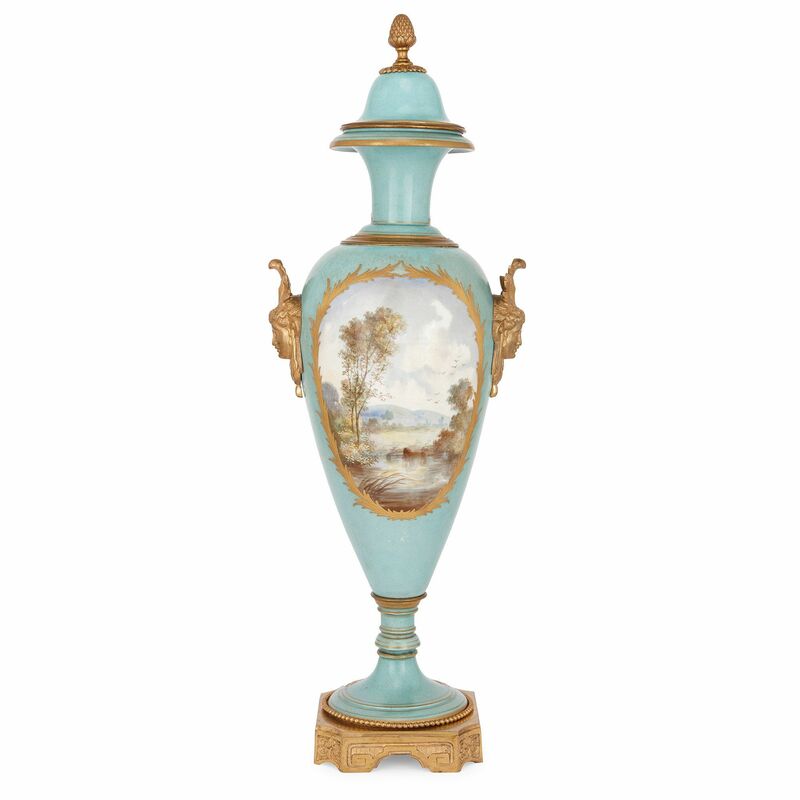 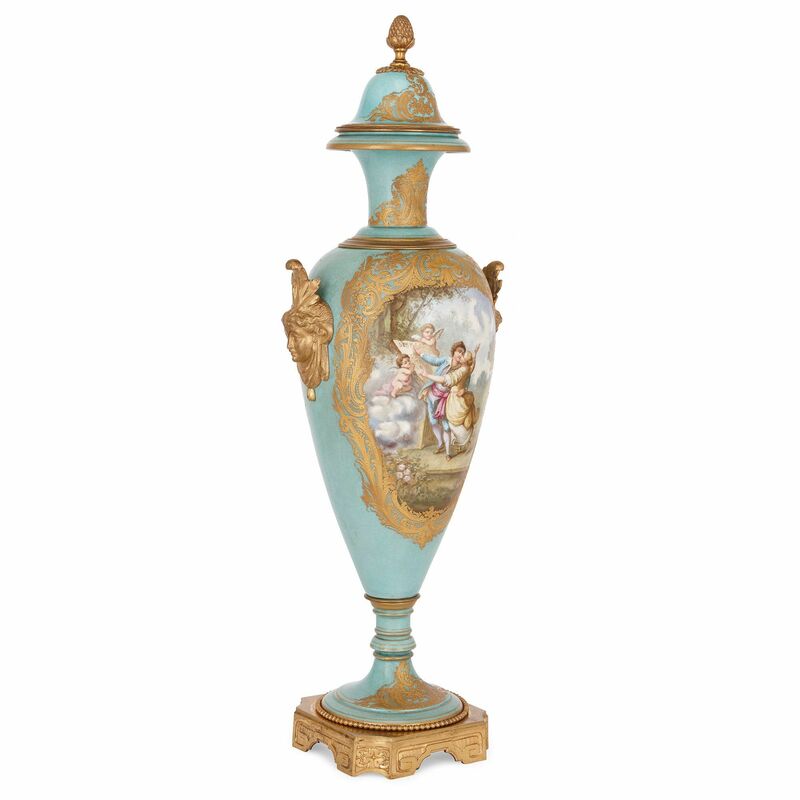 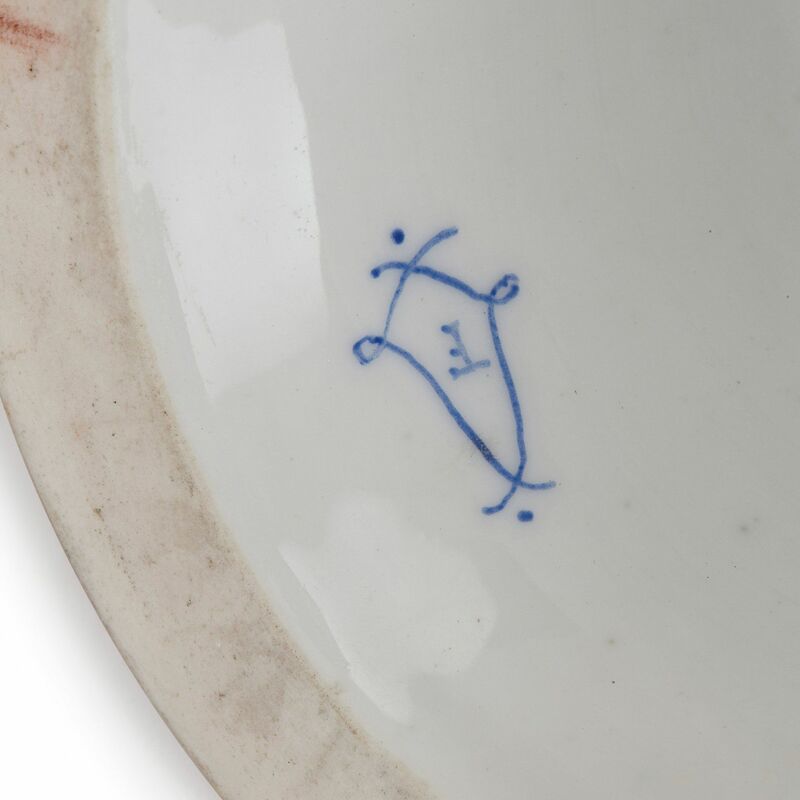 The porcelain body of the vase is of ovoid form, coloured with a turquoise ground. 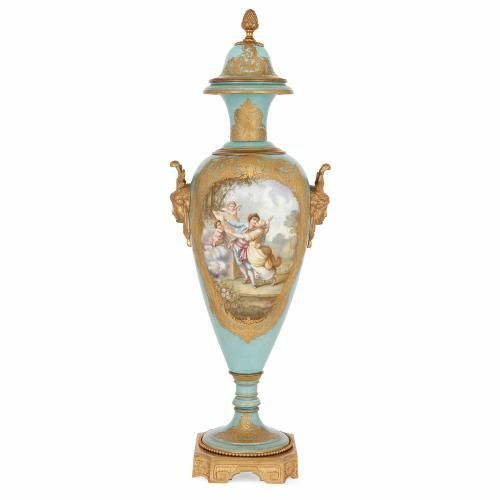 To the front of the vase is a painted scene of two lovers and winged cherubs, framed by a richly gilt rocaille motif. 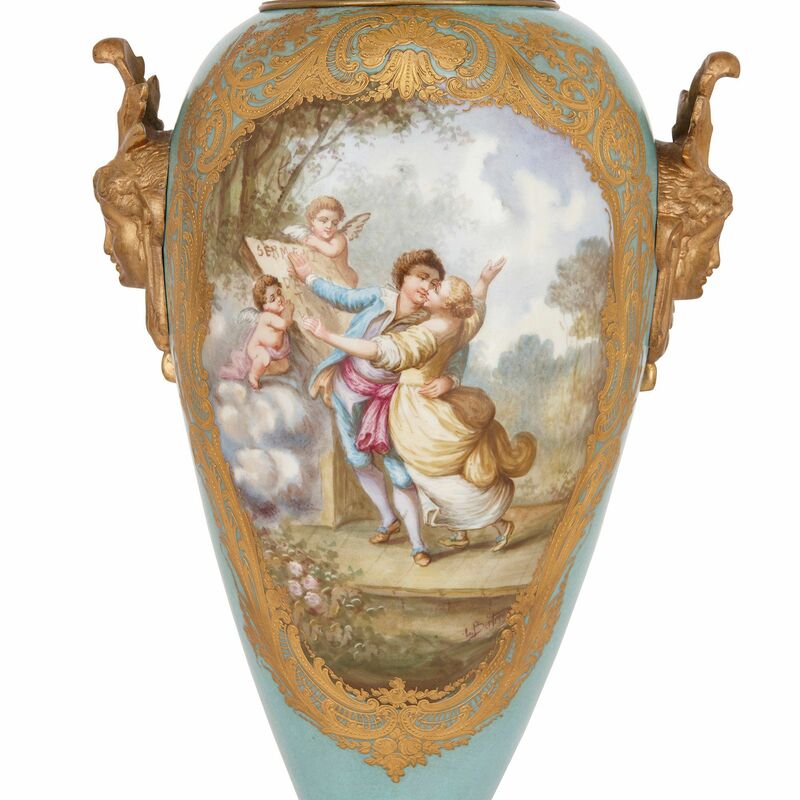 The reverse is painted with a landscape scene of a lake. 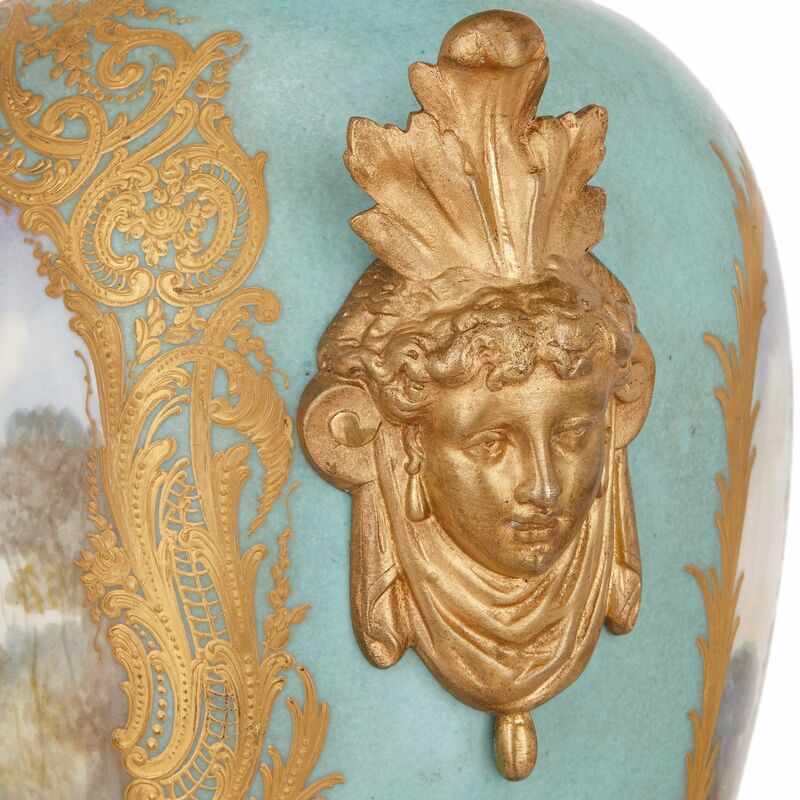 The vase is mounted with twin ormolu handles to either side, each modeled as a classical female mask. 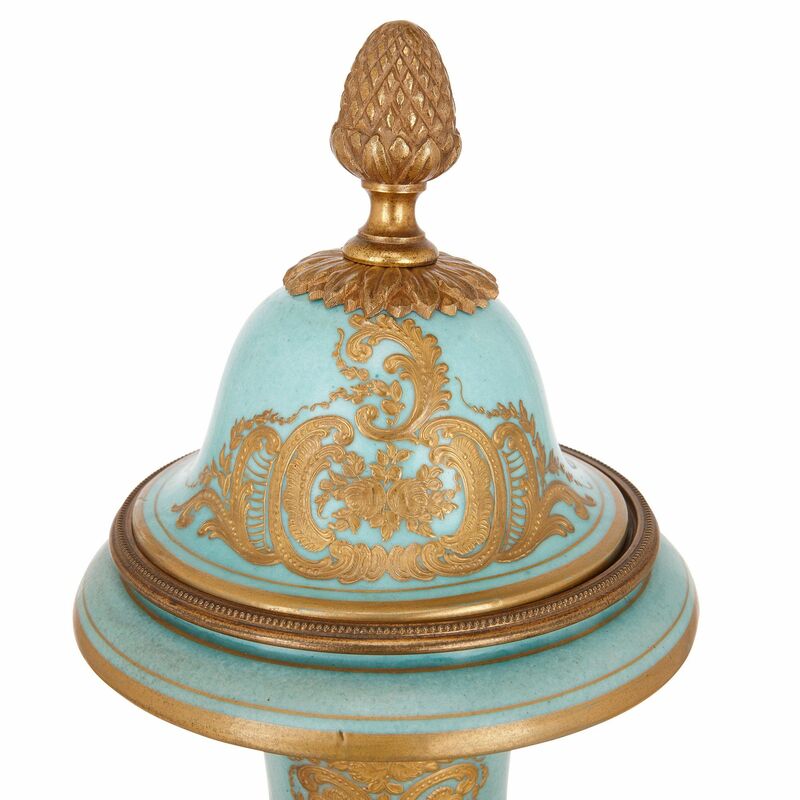 A similarly decorated cover, with gilt detailing on a turquoise ground, sits atop the vase, surmounted with a pine cone finial in ormolu, and with maker's mark to the underside.